If you listen to The Minimalists Podcast, but you’re not a supporter, then you’ve missed out on 75 private podcast episodes so far. Don’t fret! 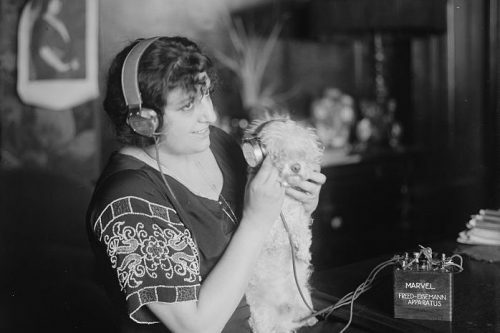 You can still listen to every episode you’ve missed. 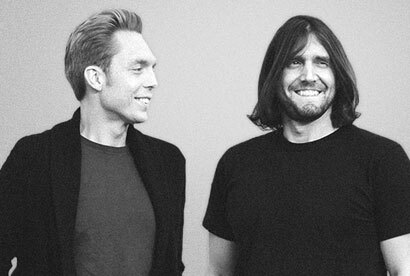 The Minimalists Private Podcast is available exclusively to our $2 Patreon supporters. Every week, we record a short “Postscript” episode, and because it’s private, we’re able to be our most candid with our small audience of supporters. Once you become a supporter, you’ll receive a personal link to our private podcast feed so that it plays in your normal podcast player (see the screenshot below). 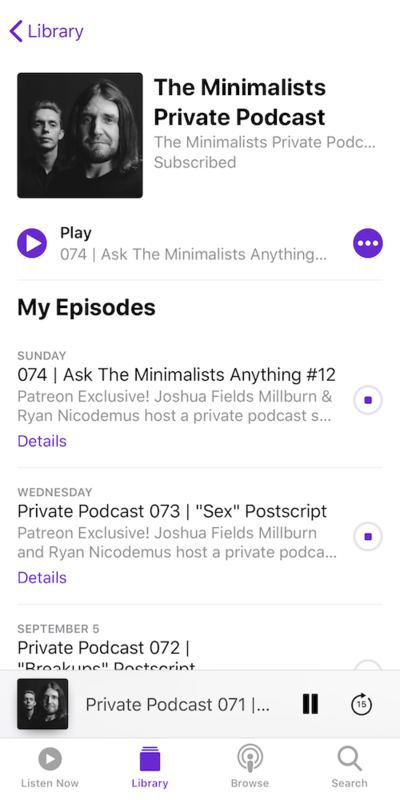 In addition to our weekly Postscript episodes, The Minimalists Private Podcast feed includes our monthly “Ask The Minimalists Anything” episodes, unreleased recordings of our live events, and the entire back catalog of past private episodes. As a Patreon supporter, you also receive access to our monthly livestream videos, as well as first access to tickets to all of our live events before those tickets are available to the general public. Your support keeps our podcast 100% advertisement-free. Thank you!